Fleetwood RV, Inc. is recalling certain model year 2013 Jamboree Sport Diesel, Providence, Tioga DSL and Tioga Ranger DSL; 2014 Excursion, Expedition, Jamboree Sport, Montara Commercial, Searcher Commercial, Southwind, Storm, Terra, and Tioga Ranger; and 2013-2014 Bounder, Bounder Classic, and Discovery recreational vehicles. The vehicles are equipped with Weatherpro and 9100 series power awnings. Due to a design change in the power awning motor assembly, the motor assembly screws may unknowingly shear. 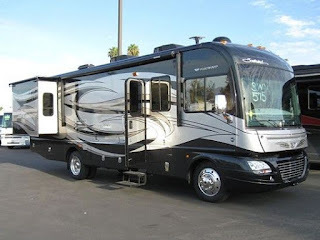 If the motor assembly screws shear, it is possible that the awning can unfurl unexpectedly, either while the vehicle is at rest or while in transit, increasing the risk of personal injury or a vehicle crash. Got a lemon Fleetwood Rv?